(Bloomberg) -- Walt Disney Co. began slashing jobs at 20th Century Fox less than two days after completing its $71 billion takeover of the storied film studio. The layoffs, focused on senior management in the Fox film division, included Chris Aronson, president of domestic theatrical distribution; product strategy chief Mike Dunn; and three senior marketing executives, according to people with knowledge of the matter. Stacey Snider, the studio’s chairman, said months ago that she would be leaving. The merger combines Fox’s movie labels -- Twentieth Century Fox, Fox Family, Fox Searchlight Pictures, Fox 2000 and Blue Sky Studios -- with Disney film banners such as Walt Disney Animation Studios, Pixar Animation Studios, Marvel Studios and Lucasfilm. The organization will be run by Studio Chairman Alan Horn, alongside Studio President Alan Bergman, Disney said in a statement Thursday. “Bringing together the legacies, talent, and capabilities of Disney and Fox greatly expands our ability to create a wide range of transportive storytelling experiences for audiences,” Horn said. Not all of the Fox brands will survive in their current form. Fox Family will become part of Twentieth Century Fox, and the Fox 2000 label will stop producing movies after its current slate is released. The deal, one of the most sweeping in the current wave of media-industry consolidation, shrinks the number of major Hollywood studios to five from six, and is expected to result in thousands of job losses. Disney is offering a range of severance, according to people familiar with the matter, with the most senior executives getting as much as two years of pay -- and less for others. Disney Chief Executive Officer Bob Iger has promised cost savings of $2 billion by 2021, but also said he wants to exploit Fox franchises such as “Avatar” and “Deadpool.” Some executives, like Emma Watts, vice chairman of the Fox film studio, will transition to Disney. The plan to shutter Fox 2000, which made “Hidden Figures” and “Fight Club,” came as a surprise. Iger had earlier praised Fox’s artier labels, such as the Oscar-winning Fox Searchlight. But the acquisition roughly doubled the number of film banners at Disney, creating a potentially unwieldy organization. Disney, based in Burbank, California, is making the cuts on the 20th Century Fox lot, a swath of Los Angeles’ Century City still owned by Fox Corp., the new, smaller TV company that emerged from the Disney deal and is based on the property. It continues to be controlled by Rupert Murdoch and his family, who engineered the sale of 21st Century Fox Inc. assets to Disney. Lachlan Murdoch, Rupert’s son and CEO of that business, held a town hall meeting Thursday. 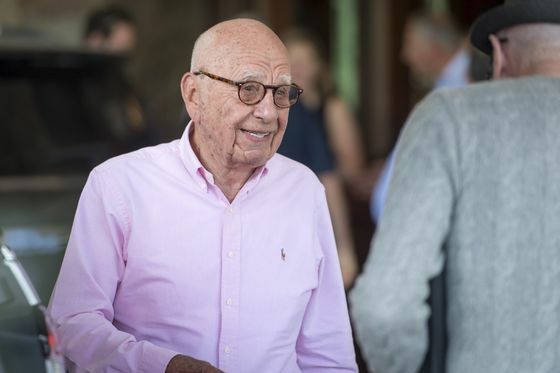 A Fox executive, who asked not to be identified, confirmed that Murdoch said he was planning to distribute shares to all employees. The new Fox chief also spoke about focusing on a collaborative culture driven by a new senior leadership team, thanked his father and outlined an optimistic vision for the future.